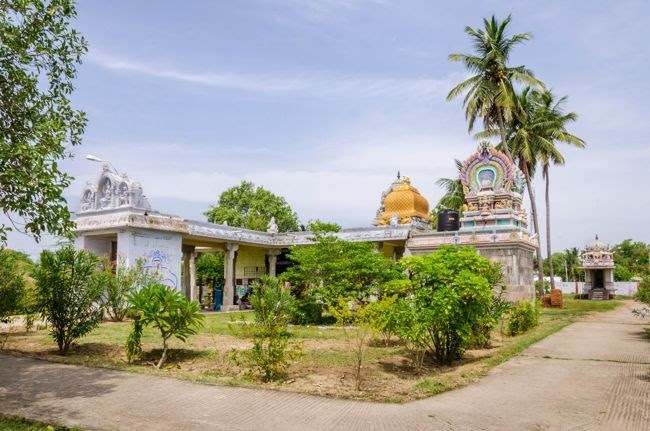 Deivanayaka Easwarar Temple or Arambeshwarar Temple is a Hindu temple located at Elumiyankottur near Perambakkam village in the Tiruvallur district of Tamil Nadu, India. The presiding deity is Shiva. The temple is dedicated to Shiva as "Deivanayaka Easwarar" or the god who commanded the forces of the Devas. The goddess is Kanakakujambikai. Cow puja is done regularly. The temple is praised by Sambandhar in the Thevaram. This is one of the 276 Devara Padal Petra Shiva Sthalams and 13th Shiva Sthalam in Thondai Nadu. This is an east facing temple and it has one corridor. Instead of a main tower (Rajagopuram), there is an arch type entrance. 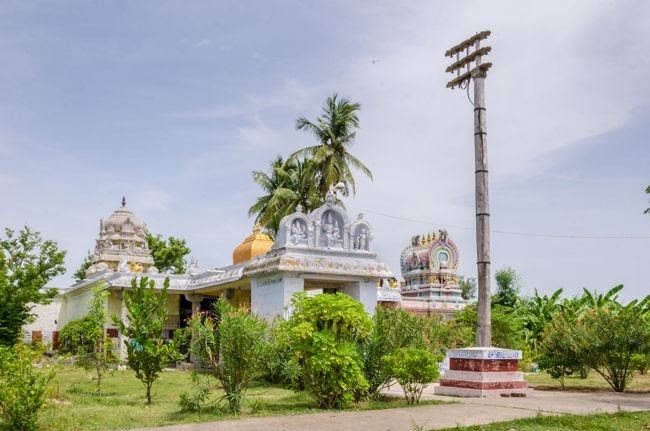 As the Lord Deivanayaka Easwarar is considered to have been worshiped by rest of the gods, devotees believe that worshiping Lord Shiva here would negate the ill effects of previous births. Lord Yoga Dakshinamurthy is very famous in this temple and worshiping him on full moon night is considered to be auspicious. It is believed that worshiping this lord would relieve any ill effects from planet Jupiter (Guru in Tamil). Also, it is believed that since Lord Yoga Dakshinamurthy blessed Ramba with the gift of perennial youth, worshiping him at this place will give devotees a charismatic personality. The presiding deity here is Arambeswarar or Devanayakeswarar. His Divine Consort is Kanakakuchambikai or Kotendumulaiyammai. The tree sacred to this place is the maramalli, while the pond adjoining the temple is known as Mallikapushkarini or Chandrateertha. Lord Siva, legend claims, was engaged in combat with the rakshasa brothers, Hiranyaksha, Kamalaksha and Vidyunmali at the nearby Tiruvirkolam. A sprig from the wreath of laburnum blossoms, which constantly adorns Siva's matted tresses, dropped to the Earth, and instantly assumed the form of a Sivalingam. The sanctum here is said to house the swayambhulingam. Another interesting legend speaks of the aging Divine Damsels — Rambha, Menaka and Urvashi — seeking the blessings of Lord Siva in order to regain their lost youth. Rambha created a beautiful lotus pond surrounded by fragrant maramalli trees. She and her companions worshipped the deity with the sweet-smelling flowers of these trees and bathed Him with the water from the Mallikapushkarini. 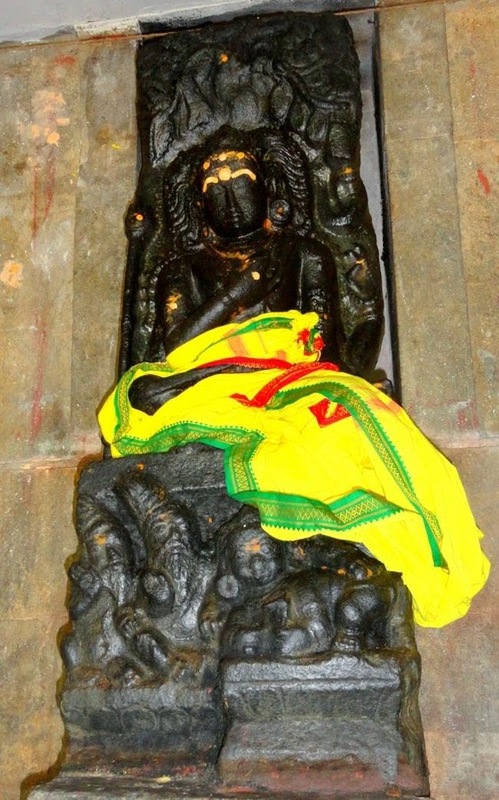 Siva in the form of Sri Dakshinamurthy manifested Himself in yogic posture and blessed the Damsels with eternal youth. The sculpture of Sri Dakshinamoorthy on the southern wall of the sanctum is an aesthetic marvel — eyes in yogic contemplation, chinmudra at the chest, right leg folded across the waist and the yogapatta girding His loins. The presiding deity here thus came to be known as Rambeswarar or Arambeswarar. He is also Chandrasekhara as Chandra worshipped Him for expiation of his sins. Yoga Dakshinamurthy is found at the Koshtam. With his eyes closed and right hands forming the Chin Mudra, and placed on the Brahma knot of the Yagnopaveetham, holding a Trishul and Akka Maalai in the top hands, he is found in a very unique posture. On special days, like Guru Peyarchi, several hundreds of devotees come here to pray to Yoga Dakshinamurthy. 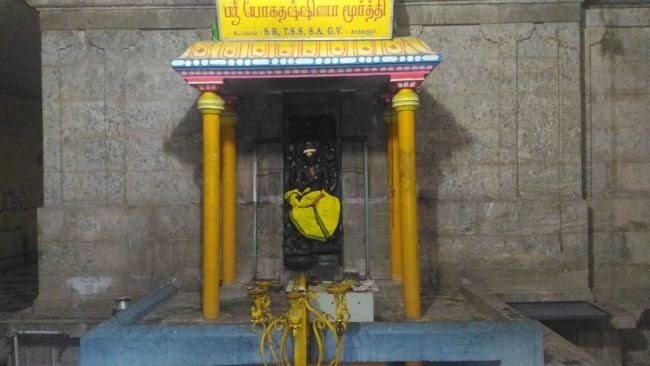 Guru (Jupiter) transit days, Maha Shivrathri in the Tamil month of Masi (February-March), Arudra Dharisanam in the Tamil month of Margazhi (December-January) and Thirukarthikai in the Tamil month of Karthikai (November-December) are the major festivals celebrated in this temple. There are two routes to access this little-known temple at Ilambaiyankottur or Elumiyankottur as it is known today. One route leads from Sunguvarchathiram through Sogandi, Maduramangalam, Ekanapuram and Sellampattidai, to Elumiyankottur. The other route is somewhat circuitous. One would have to take the National Highway from Chennai to Tiruvallur and drive along tolerably good roads past Tiruppachur (another lauded temple), Kadambathur, Satharai, Perambakkam and Narasingampettai. The temple is situated about three km from here in the tiny hamlet of Elumiyankottur.